Background Blur: Now, all Teams customers can remove distractions and focus your video on what matters most. Meeting Recording: With meeting recording in teams, you or others who missed the meeting can playback recorded audio, video and content at any time. Pull up transcript, powered by Microsoft Stream, and search keywords so you can optimise your time while getting caught up. Home: A new mobile experience that allows first line workers to see at a glance the most important and relevant info for their day. 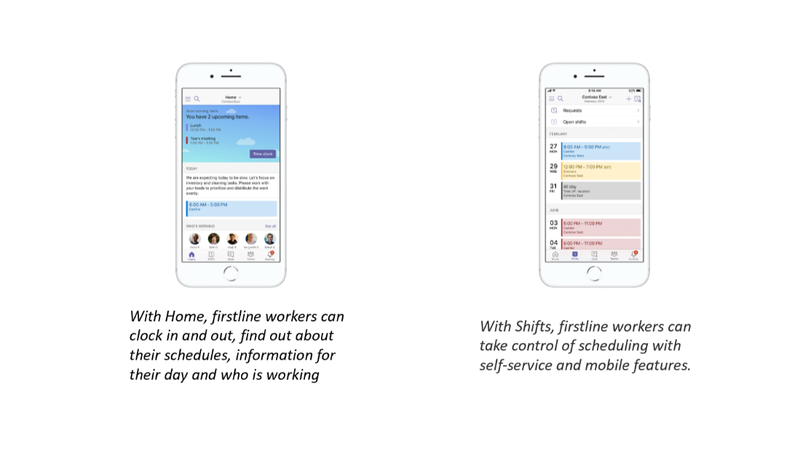 With home, first line workers can click in and out of shifts/breaks, receive important notes for the day or the shift, find out who is working during the shifts and save time by easily reviewing information and schedule. Shifts: Enables managers to plan schedules in an employee self-service and integrated experience. They can create, update and distribute schedules for team as well as broadcast open and unfilled shifts so that other employees can cover them. They can also review and accept time off requests and swap shifts – all from the mobile. Enrich your private chat experience with screen sharing: Need to quickly show someone your screen, but don’t have time for a call? You can now share your entire desktop or a specific window directly from a private chat session. You can even let them take control to collaborate on content together. To share your screen during a private chat, simply click the open share tray icon on the top right of the screen and pick one of the available window options. Chat made accessible: Immersive Reader has made its way to chat and channels. Personalise text and page themes for increased visibility, minimise visual distractions with Line Focus, or follow along with the personalised text reader. To launch the immersive reader from any conversation or chat, open the “…” menu and select Immersive Reader. Calling for everyone: Up until now, only Teams users configured for Calling Plans would see the Calling App in the left rail. Beginning in October, we will enable the Calls App for everyone who is VOIP enabled. 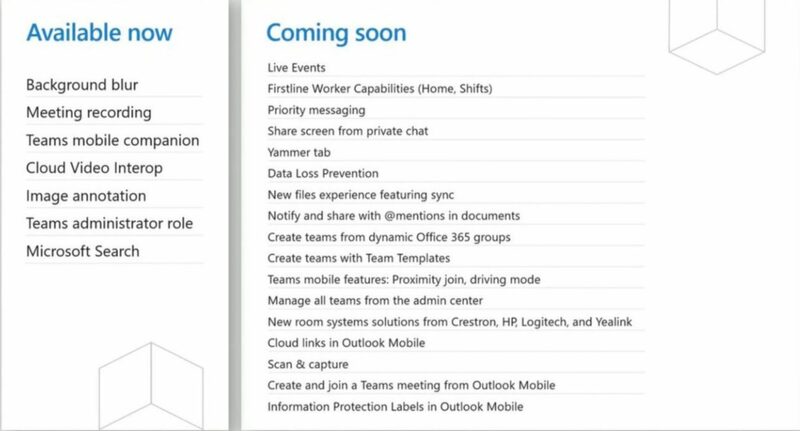 See Telstra Calling for Office 365 for more.